In November 2016, Colleen Chapman and Sheila Rennie from CanScribe Career College saw this first hand. 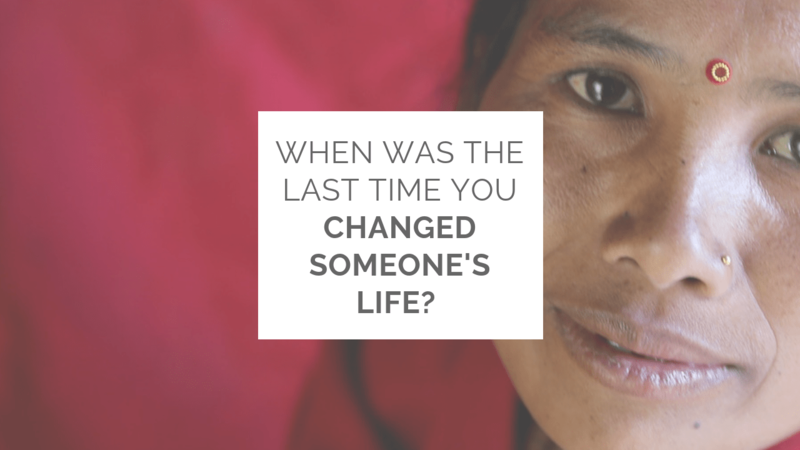 They joined IWEN on a trip to Nepal to rebuild a school destroyed in the 2015 earthquake and to work with women’s groups that empower women to start their own businesses through micro-loan programs. What started as a single volunteering initiative has grown into an empowering mission. This Fall, CanScribe Career College is going back to Nepal with HER International and we are asking for your help to positively affect as many lives as possible. Our goal is to raise $10,000 to support underprivileged children of Nepal and support micro-loan programs for their mothers. All of the funds donated will be matched by CanScribe Career College, up to $10,000. Micro-loans (as little as $100/person) can help Nepalese women achieve financial independence by starting their own small businesses. The businesses include gardening, animal farming, tailoring, jewelry making, road-side stores, etc. Thus far, there is a 0% default rate on the loan money that CanScribe has invested in this program. Please help us give hope and a fighting chance to those with nowhere else to turn. Let’s win this war on poverty… one life at a time! Please use the secure donation form below. All donations over $10 will receive a charitable tax receipt.